UN Secretary-General on Friday, appointed Ms. Sima Samar and Mr. Juan Gabriel Valdés to his High-Level Advisory Board on Mediation. Ms. Samar and Mr. Valdés succeed Ms. Michelle Bachelet and Mr. José Manuel Ramos-Horta. The High-Level Advisory Board was established on 13 September 2017 to provide the Secretary-General with advice on mediation initiatives and back specific mediation efforts around the world. The Board is composed of 18 current and former global leaders, senior officials and renowned experts who bring together an unparalleled range of experience, skills, knowledge and contacts. When establishing the Board, the Secretary-General considers it as part of his “surge in diplomacy for peace” in support the prevention and mediation’s activities of the United Nations. The Board is expected to allow the United Nations to work more effectively with Member States, regional organizations, non-governmental groups and others involved in the area of mediation around the world. 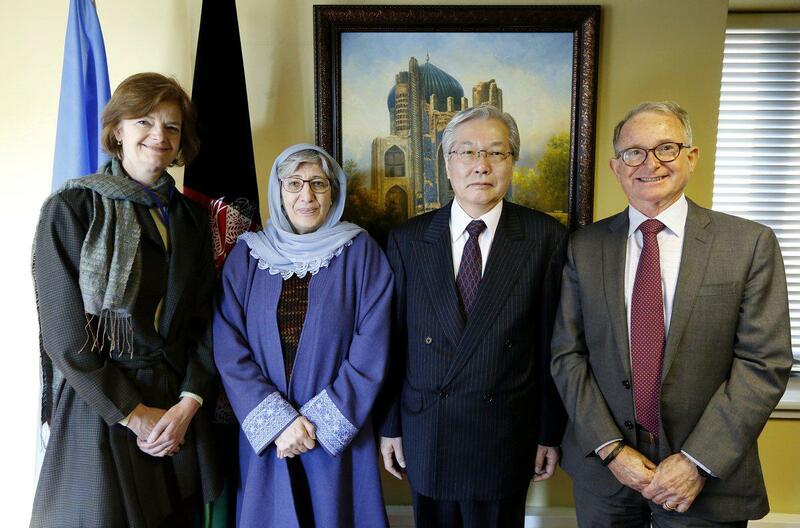 Ms Sima Samar is currently the chairperson of the Afghan Independent Human Rights Commission (AIHRC). Ms. Samar was, from 2005 to 2009, the United Nations Special Rapporteur on the situation of human rights in Sudan. She has overseen the expansion of human rights education, the implementation of a women’s rights program, and the monitoring and investigation of human rights abuses across Afghanistan. Ms. Samar was the Vice Chair of the Emergency Loya Jirga, a role that brought her political and negotiating skills to the fore, and the first Deputy Chair and Minister of Women’s Affairs in the Interim Administration of Afghanistan. She founded the Shuhada Organization, which operates 55 schools in Afghanistan as well as three schools for Afghan refugees in Quetta, Pakistan. Former National Security Advisor Mohammad Haneef Atmar on Friday officially registered for the presidential elections. 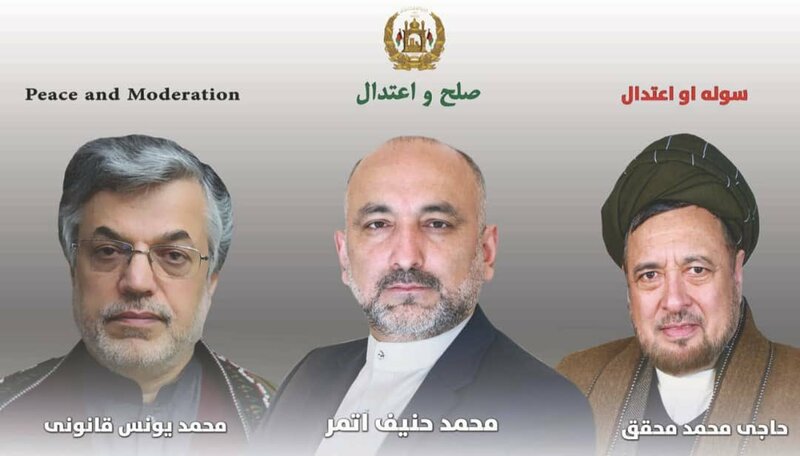 He has the former Vice President, Mohammad Yunus Qanooni as his first Vice President and Deputy Chief Executive Mohammad Mohaqiq as his second Vice President on his team. “Peace and Moderation” is the name of Atmar’s election ticket, he told reporters at the Independent Election Commission. Atmar served as interior minister during former President Hamid Karzai’s government and was also the national security advisor to President Ghani. Reports by Pakistani media suggest that officials in Islamabad have agreed to hold talks between US and Taliban officials as the group has repeatedly refused to directly meet the Afghan government delegation. Pakistan’s Geo News has claimed that US Special Representative for Afghanistan Reconciliation Zalmay Khalilzad told Pakistan Foreign Minister Shah Mahmood Qureshi that Taliban were reluctant in meeting the Afghan government and announcing a ceasefire. The report also claims that that Khalilzad had asked Islamabad to play its role. Khalilzad had recently visited Islamabad. Geo News quoted the diplomatic sources as saying that Pakistan decided to invite the Taliban to go to Islamabad and hold talks there. Qureshi has reportedly ‘promised’ Khalilzad that Islamabad will cooperate with Kabul on the Afghan peace process. 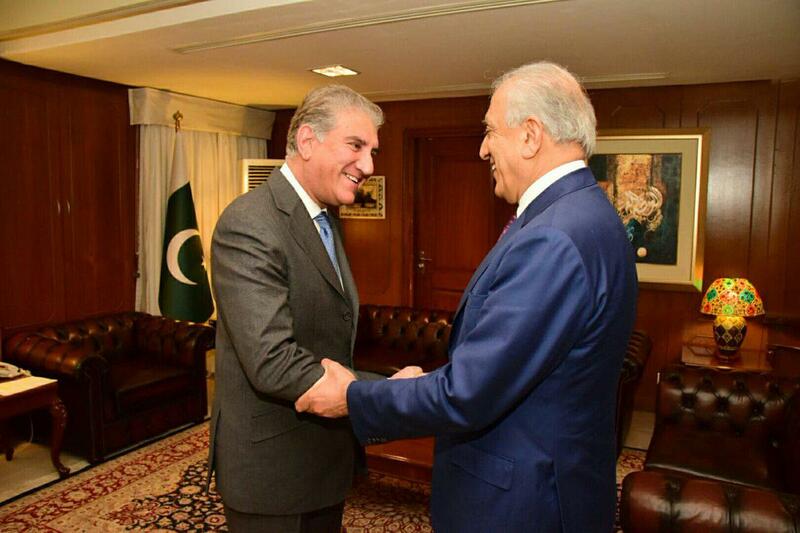 “US Special Representative Zalmay Khalilzad called on FM Shah Mahmood Qureshi at MoFA. He briefed FM Qureshi on his recent engagements in the region for Afghan peace and reconciliation process. The FM assured Amb Khalizad of Pakistan’s support for the peace process,” Mohammad Faisal, spokesperson of Pakistan’s Ministry of Foreign Affairs said on Twitter on Friday.